Burgers are forever evolving with new flavors and creations popping up every day. The classics still remain, this is a simple take on the popular Periperi burger. Slice the chicken breast through the center, so cooking time is decreased. Grill on a preheated flat top grill until cooked through, keep hot. Combine the HELLMANNS Real Mayonnaise, lemon juice and rind together. Slice the bun through the centre and toast until golden, keep hot. 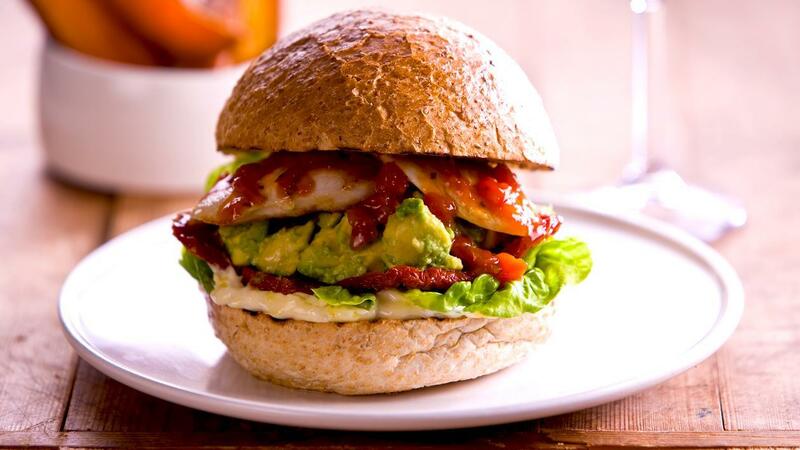 Build the burger in the following order - bottom bun, lemon mayo, lettuce, sundried tomato, avocado, grilled chicken, KNORR Portuguese Peri Peri Sauce GFand toasted top bun. Serve with fresh cooked sweet potato chips.